The total number of vacancies of a particular Division includes the number earmarked for PH/Ex-service man . The selected PH / Ex Servicemen candidates will be adjusted against their respective category i.e UR, OBC, SC/ST. Number Systems, Computation of whole Numbers, Decimals & Fractions, Relationship between Numbers, Fundamental arithmetical ope.rations, Percentages, Ratio & Proportion, Profit & Loss, Simple Interest, Average, Discount, Partnership, Time & Work, Time & Distance, Use of Tables & Graphs, Mensuration. 11. Application fee: Rs. 100/- ( Rs One hundred only) mandatory for all categories of applicants who have registered. 12. 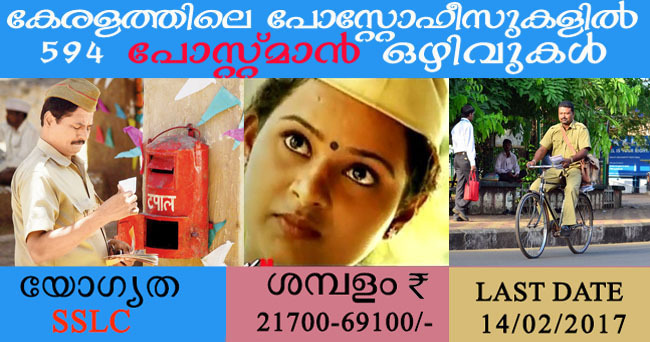 Examination Fee: 400. In addition to the application fee, examination fee prescribed for all male applicants in General and OBC categories is Rs. 400/- . ( Rs Four hundred only ). 14. 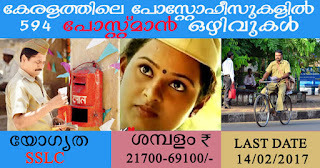 Examination Centre: (i) Trivandrum, Ernakulam, Kozhikode, Palakkad, and Kottayam.